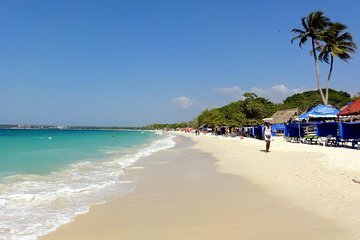 Take a day trip out of Cartagena and leave the planning and driving to your guide on this excursion to Playa Blanca beach on Baru Island. Travel comfortably on an air-conditioned bus and spend the day soaking up the sun on the white-sand beach and swimming in crystal-clear water. Afterward, explore the neighboring fishing villages and residential areas before returning to Cartagena.